Remember this portrait? Remember seeing how bad the condition was? Yeah… pretty bad. Well… it should be said that this is NOT easy stuff to do. I don’t recommend it for anyone who likes sanity. Raise your hand if you think Diana (the restoration miracle worker) is a genius! A lady called us late last week and asked if we did restoration of old photos. We told her that we do, and she went on to explain that she had two large photos (for now) that were in a sad state. After a short description of the damage as a result of living through the years in conditions that were less than favorable for images, I asked her to bring them in. On Wednesday, she was accompanied by her aunt (age 82) and her husband. The two images (both 16×20) were in worse shape than she’d made them out to be on the phone. Diana, who is our restoration specialist, reviewed them with the client and talked about what was necessary to get them back in to shape. 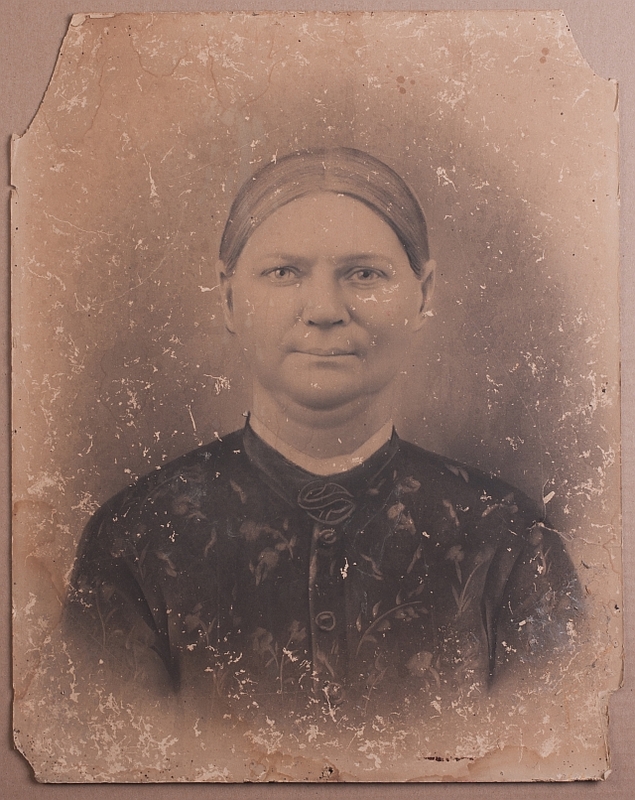 But the whole time, I was looking at the one picture (shown below) and hearing its story… the photo is of the aunt’s great-grandmother. 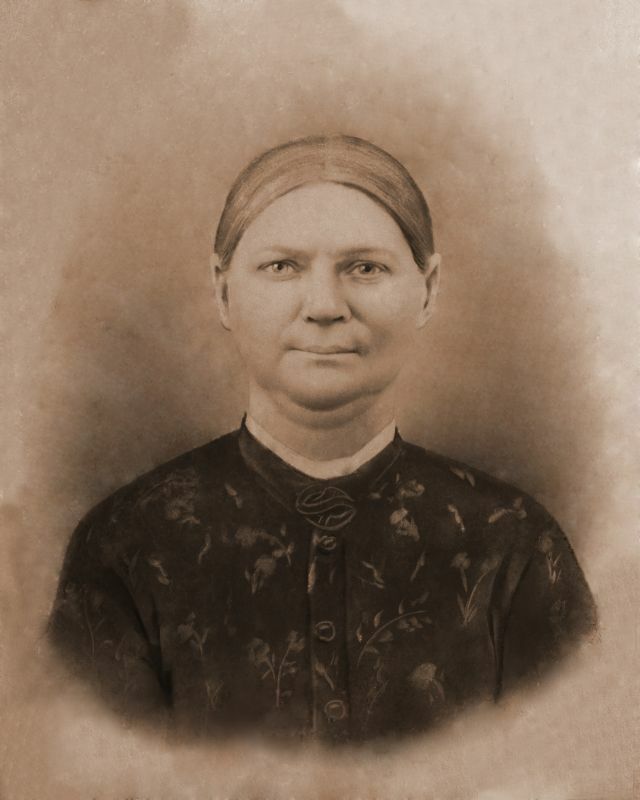 The photo was taken and printed some time in the late 1800’s. That’s over 100 years of history. I’m showing you this now, before Diana does her miracles on it, because I want to share with you a portrait from years (over a century) gone by. I’ll be sure to show you before and after images for both photos, though.